The Centurion – Low Profile is a rugged commercial mobile tower platform designed for military applications. 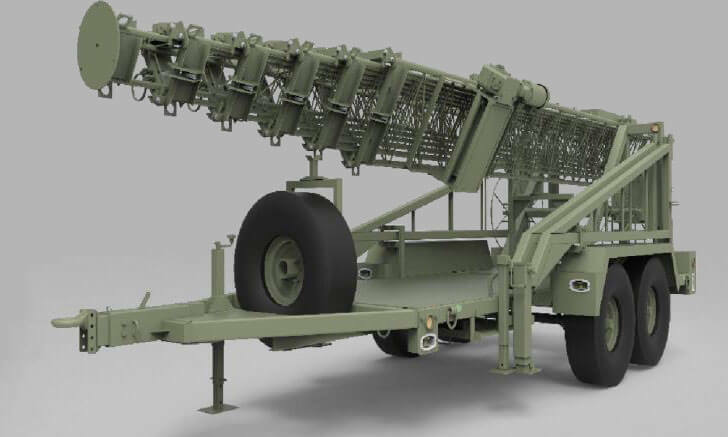 This tower is capable of being transported by aircraft, helicopter, FMTV and LMTV. The Low Profile Centurion Tower fits in a sea shipping container for international shipping.